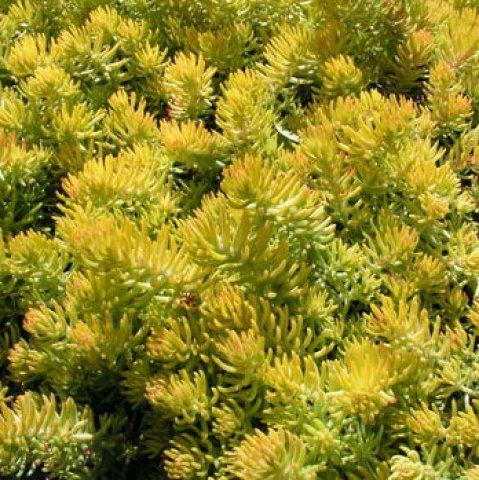 The species Sedum, or stonecrops, are hardy perennial plants. Sedum are beautiful plants for your window box, with clumps of stems growing up from the ground and succulent, round leaves growing up the stem. Sedum reflexum is a low-growing, blue-gray stonecrop that resembles miniature blue spruce trees, giving it the name 'Spruce-leaved stonecrop.' It has narrow stems that produce small, succulent leaves, thrives in full sun, and produces yellow blooms in mid-summer to autumn. Cultivation: plant your Sedum in John Innes No 2. Leave the flower heads on through the winter. In the spring break off the flower heads at the stems. 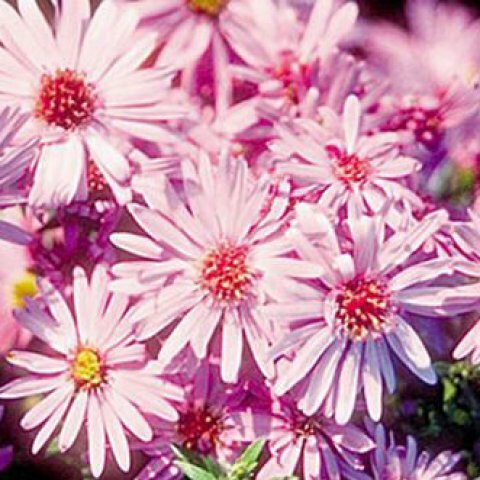 One of the most popular autumn flowering plants, the michaelmas daisy offers the window box a range of colours and heights. Colours are mainly in the pink/purple spectrum, but there are also whites and deep blues. 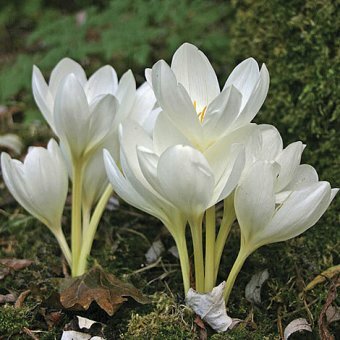 Colchicum is often known as the as the autumn crocus, but it is not in fact related to the true autumn crocus (crocus speciosus). The two look very similar, although colchicums have longer, broader leaves than the crocus. G. Autumnale gives colour at the end of the year, with several lilac coloured flowers produced from each corm. Colchicum 'Roseum Plenum' is a double a double variety with rose pink flowers. Colchicum speciosum 'Album' Has small white flowers. Picture to the left. Cultivation: corms should be planted in late summer with your window box in a sunny position. Colchicums need moisture retentive multi purpose compost. 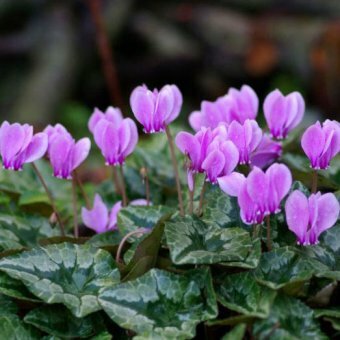 The delicate pink flowers of the autumn cyclamen purple-magenta V-shaped patch at the base of each petal and will steal the show in the window box during the autumn. It is the most reliably hardy of all the Cyclamen species and easily survives low temperatures. With attractive marbled leaves for at least nine months of the year, and a fine display of pale- to deep-pink, delicate blooms through the autumn months, cyclamen is one of the most popular autumn plants. 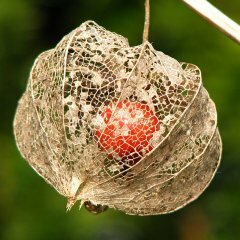 Cultivation: Plant in September to October 5cm deep in moderately fertile, humus-rich, well-drained compost. Do not over water and if you feel they need a feed, high potash liquid feed, a fortnight while flowering. These annual plants are very colourful, and come in a variety of colours, ranging from white to pinks, purples or reds. 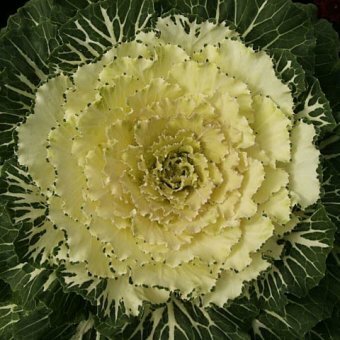 Ornamental Cabbages and Kales look much the same as their edible cousins, but they have ruffled foliage and are more colourful. Brassica plants do not tolerate summer heat well, but are extremely frost tolerant. Cold weather and frost will intensify the brilliant colouring of these plants. Cultivation: Plant in the window box in mid September using a multi purpose compost. Water in generously and keep watering throughout the season feeding weekly for best results.